By Car: From the Stoke Road traffic lights just off the A3, head south on Stoke Road and turn sharp left at the first roundabout just after the church. Follow Lido road and keep going until you can’t go any further. Adjacent to Wild Wood there are over 100 free spaces. From London Road Train Station: 10 minute walk. Turn left out of the station into York Road then turn left at the Traffic lights onto London Road. Continue along London Road until you reach Stoke Park. Cross the park and Wild Wood is located on the far side. From Guildford Train Station: 25 minutes walk or 5 minutes walk to bus station & short bus journey. By Bus: Service number 10 operates between the Friary Bus Station and Stoke Park. Bus service 3, 34 and 35 also stop outside Guildford College on Stoke Road. When you purchase a voucher our system automatically generates your voucher and it is included in your email confirmation. You can then either email it on to the person you bought it for or print it out for them to receive as their gift. If you do not receive the email promptly then please have a look in your ‘junk’ folder as often they might end up there… or email us and we can send it again. Vouchers can be redeemed by booking online. Book your slot and when processing the booking add your voucher code when asked and the system will discount the value of your voucher. Please only book slots that relate to the voucher you bought i.e. 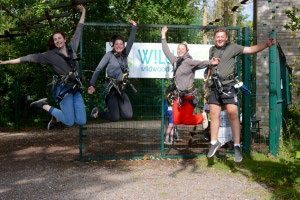 if you have a Wild Kids voucher you need to book a Wild Kids slot! Vouchers are valid one year from purchase. PLEASE NOTE! If you have our old system voucher as shown below they will NOT WORK ON OUR NEW SYSTEM. To redeem, please call or email so we can book you in! Wild Wood is purposebuilt in a unique location; an oasis of woodland within the town of Guildford. We’ve designed-in all of the things that will make your visit as memorable and enjoyable as possible; we have plenty of free parking, superb public transport links and great facilities for spectators. 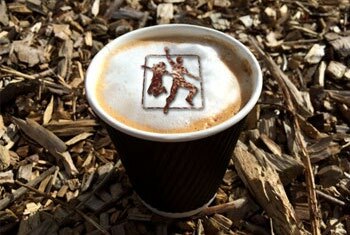 We serve great coffee, teas and hot chocolate from our kiosk. We also have a range of cold drinks and snacks and energy bars. In the warmer months, you can also cool down with an Ice Cream! We will only suspend or cancel activities for very high winds, electrical storms or heavy snow that directly affect the safe operation of the site. There is no time limit, but please be mindful of people behind you. Please remember that this is a physical activity and we cannot rule out bumps and scrapes. You will be protected by the Safe Roller Continuous Belay System and our rigorous safety procedures – please listen carefully to our safety briefing. How many zips will I get? A minimum of 4, plus the drop, but could be more depends how quickly you get yourself back to the start. How long is the zip? How do you make it go faster? To go on Extreme Wild Party for an adult you just need to be adventurous! How do I book a kids party? For children over 6, click for Parties and then Wild Kids Party in the booking menu. How do I book a Stag, Hen, birthday or any adult get together? Can I book for party food? Why can’t I book on line? There are just too many options – please send us an email at booking@wildwood-adventure.com and we’ll be in touch to help plan your event! Why is this more suitable as team building than the ‘Extreme Wild’ course? We have specific challenges in this zone designed so that you need team work to meet their demands. You simply won’t get up the Jacobs Ladder or build the crate stack without careful coordination and problem solving skills. What age groups are the Wild Trials aimed at? Can I book this for a stag or hen party? Can we have food or a conference room on the day? Of course. Just ask what you are looking for and we can hook you up with what you need. Old Gift Vouchers – Please Note! All Gift Vouchers bought before our new online Booking System in June 2018 cannot be used to book online. To book a slot and redeem please call 0344 8800026. Easy to buy and make the ideal gift! One company, two great adventures. 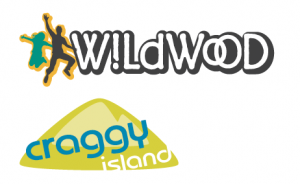 Wild Wood is owned and managed by Craggy Island, the company started in 2004 to provide the best in indoor climbing and based in Guildford, with another branch near Sutton in Surrey. design Wild Wood to be fun and exhilarating for all ages. Drawing on our knowledge of working at height and handling groups of children and adults of all abilities, we took a huge amount of time and effort to design what we think is the best high level attraction of its type anywhere in the UK. Find out more about indoor climbing and parties at Craggy Island here. JM Adventure helped design and then build Wild Wood. ERCA is our governing body and we are corporate members. We worked with Guildford Borough Council to create something magnificent that everybody can enjoy! Visit Surrey is the official tourist information for Surrey. DAYoutWITHtheKIDS.co.uk is an easy to use website for finding places to visit with your family all over the UK. kidsdaysout.co.uk aims to banish the boredom with hundreds of amazing attractions all over the UK, including Wild Wood! EZ Runner supply our online booking software. We really like working with them. Tungsten Design created and maintain our branding and website. They are a design consultancy with bags of experience and a comprehensive approach. Vertex train our staff to ensure you are kept nice and safe. They take thier job very seriously! Papertrail’s web-based safety management system increases safety and reduces risk. Saferoller is the world’sfirst rolling continuous belay system. Website development & design. Highly experienced, friendly and extremely knowledgeable technical creatives widely versed in digital technologies for on and offline media creation. If you can’t see the information you need on this website then do please get in touch on the contacts here. If it is a busy time and we can’t answer straight away we’ll get back to you as soon as possible. As one of the Receptionists you offer our customers the “first impression” of Wild Wood when they arrive at the centre, call to make a booking or email for information. You are responsible for ensuring that all our customers receive a high level of customer service via any medium and that enquiries are dealt with effectively and in a timely manner. You should be friendly, fun, well-organised and able to work both as part of a team and on your own. Applicants must be aged 16 years or over at the time of your application. 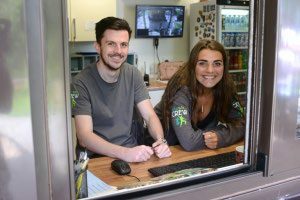 Some experience working in a customer service environment is desirable, as is some experience of treetop adventure but this is not essential; paid training in all aspects of the job will be provided to the successful applicant. Working hours are always arranged in advance with the Centre Manager. The majority of shifts will be at weekends but hours can be arranged to suit your availability, within reason. Positions available: We are looking for 2 Part Time/Casual Receptionists to join the team. Hours will be available at weekends and during the school holidays. To apply: Please send a CV and covering letter to Danie Rushmer at danie@craggy-island.com. The closing date for applications is Friday 12th of April 2019.